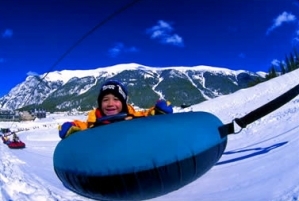 While the Breckenridge Ski Resort does not offer snow tubing on its slopes, winter enthusiasts will find that nearby Keystone Resort does. With a variety of tubing lanes with varying degrees of steepness, the park features chutes, banked turns, rolls and bumps. A convenient rope tow returns riders to the top of the tubing run, keeping the focus on fun, not hiking. 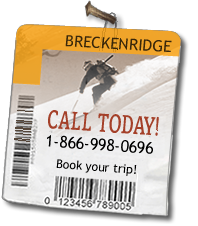 Many of our guests take advantage of Breckenridge’s multi-resort lift ticket, opting to ski Keystone for a day and take in the tubing park while there. 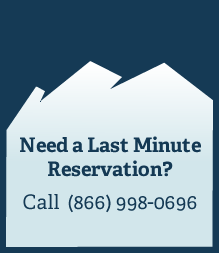 Summit Concierge’s transportation partners are happy to accommodate any shuttle needs you may have in accessing Keystone and its tubing park. Tubing reservations are highly recommended as the activity often sells out days in advance. To book Tubing Reservations, call Keystone Resort at 970-496-4386. The town of Breckenridge features a walk-up, ride down sledding hill at Carter Park. Kids, adults and dogs all enjoy a short walk up the former ski slope followed by a thrilling ride down. The park is located at the south end of High Street and adjacent to Breckenridge Elementary School. Click here for a map of Carter Park in Breckenridge, Colorado. From Main Street in Breckenridge, go east on Lincoln Street for 4 blocks, then turn right on High Street and follow it 3 for blocks. High Street dead ends at Carter Park, with plenty of parking available. Snow tubes and sleds are available for purchase at the City Market and Food Kingdom grocery stores in town. No rentals are available.